Every month brings with it a number of special celebrations that small business owners can use to hold fun promotional giveaways, and July is no exception. In fact, this month is particularly celebratory because it is meant to recognize two summer traditions. According to the United States Department of Agriculture, July is National Grilling Month in which consumers are supposed to spark up their grills and enjoy some delicious barbeque. Additionally, People for the Ethical Treatment of Animals points out that this month is also National Picnic Month. Indeed, July is the perfect time to celebrate how wonderful it is to enjoy a meal outside instead of staying inside all day. Summer has arrived, the sun is shining, the birds are singing and nature should be enjoyed for the entire month. Small business owners can capitalize on these celebrations by holding giveaways that recognize the wonder of outdoor dining. Of course, a great marketing event is nothing without the right promotional marketing products. Below is a look at some great items that can be distributed during picnics and barbecues. To small business owners, the promotional aspects of the giveaways are the most important features, but attendees are more focused on the food than anything else. Of course, many customers would attend promotional picnics and barbecues specifically for the fine cuisine, but that doesn’t mean that entrepreneurs won’t have an opportunity to market their enterprises. One way professionals can advertise is by distributing food in a Premium Insulated Lunch Bag. The logo-emblazoned container is perfect for holding a nice meal and also marketing a small business. Customers will appreciate the snacks and use the bags for future lunches. With each use, consumers will develop brand recognition and become loyal to the company that distributed the great gifts. 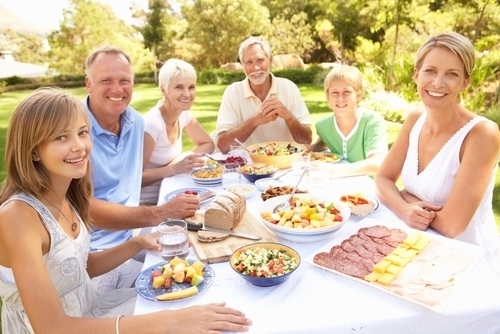 Two drawbacks that picnics and barbecues share are that the food is often messy and there’s no place to wash up. As a result, consumers are left with dirty hands and faces without being able to clean themselves. Small business owners can ensure that customers can enjoy themselves without worrying about their messes by distributing Anti-Bacterial Wet Wipes Canisters as promotional products. Clients can use the sponsored items to keep themselves clean so they can enjoy the barbecue or picnic. Additionally, consumers can hold on to these gifts after the giveaways so they’ll have advertisements with them at all times. Picnics and barbecues are great for consumers who love the outdoors and the summer weather, but others might not be so keen on the heat. As the temperature rises, some customers may rather stay inside and turn their air conditioners on than venture into the great outdoors. The heat doesn’t have to ruin a giveaway because small business owners can hand out Portable Mini Fans to keep attendees cool. The small fans are perfect for customers who don’t like the heat but still want to enjoy all that the great outdoors has to offer during the summer. If there aren’t any picnic tables around, consumers will have to sit on the ground or stand while they eat, which aren’t exactly ideal options. While sitting is usually preferable to being on one’s feet all day, some customers might not want to be seated directly in the dirt. A Waterproof Picnic Blanket is the perfect promotional item to combat this problem. The branded gift is ideal for picnics and customers can use it at all of their outdoor events for the entire summer.